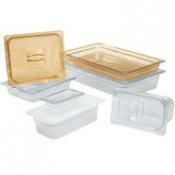 Full selection of Rubbermaid's Food Boxes, Hot and Cold Food Pans and Space saving containers. Please click images below to view products in each category. 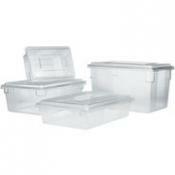 Full collection of Rubbermaid Food Boxes including white and clear polycarbonate. This collection includes cold and hot food pans of all sizes and types. 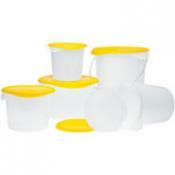 This collection contains the line of Rubbermaid round food storage containers. 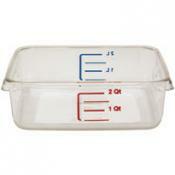 Rubbermaid offers these food storage containers with Measurement gradations for precise measurements.